For those who aren’t aware, I live relatively close to the Big House. While this is cool in that I can walk to Michigan football games if I so choose and get to drive by the place multiple times per week, the downside is that for several Saturdays each fall, the population of my city, Ann Arbor, essentially doubles. And when you live right off the main strip that leads to the stadium, this means you have to plan your days strategically around the football games. Today, that meant that I didn’t leave the house until after the football game started at noon. I then embarked on an epic grocery shopping session, which was thoroughly planned out in Excel beforehand. You see, while we are celebrating Thanksgiving with my family next week (can’t wait), the husband and I (well, probably mostly me) are going to cook our own Thanksgiving as well. So check back in the coming days for that. Because of the way my day was going, I ended up eating my first meal of the day around 3:00 PM. However, it was well worth the wait! 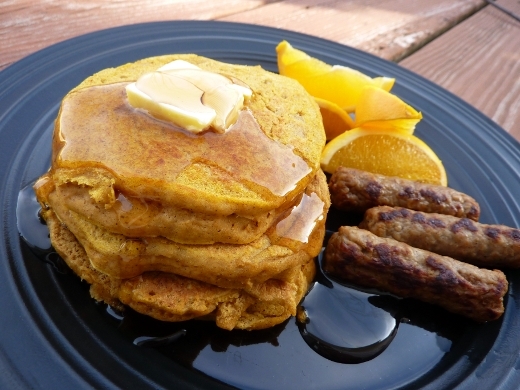 I made Pumpkin Pancakes using THIS recipe. 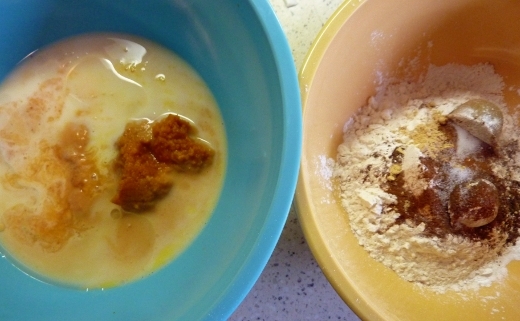 First step was to add the dry ingredients (flour, brown sugar, baking soda and powder, salt, allspice, cinnamon, ginger) into the wet ingredients (milk, egg, oil, pumpkin, vinegar), and stir just until moistened. 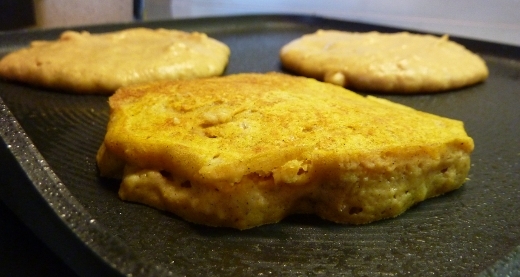 Then you simply pour 1/4 cup portions of batter onto a heated griddle, flip, and enjoy! You know the drill. 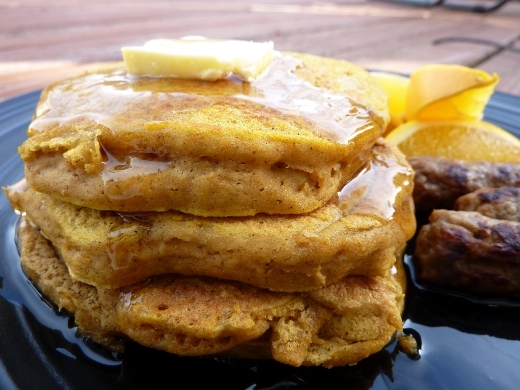 These pancakes were tender, thick, and epically delicious. 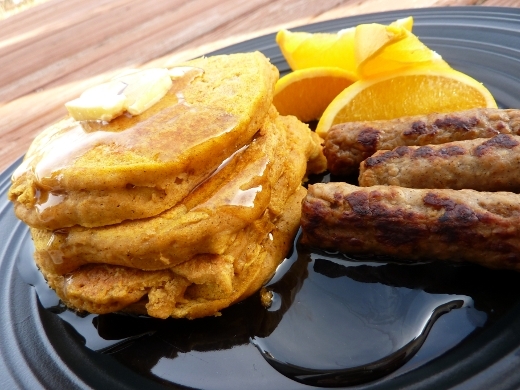 These are probably the best pancakes that I have ever made. But most pancakes that I have ever made come from a boxed mix! But still – these were awesome! Did I mention we had Butter Pecan Maple Syrup? Oh yes. ♪♫ Currently listening to: Us – She Wants Revenge. Pingback: This Week… « Meg.Goes.Nom.Nom.